Discover secret and unexpected ingredients stepping up cocktail hour at Fairmont bars and restaurants around the world. Fairmont Singapore’s mixologist Bannie Kang draws on her South Korean heritage for her Su Jung Gwa cocktail. Based on a traditional Korean tea—made with cinnamon, ginger and persimmon—it’s served during Korean New Year and the Moon Cake Festival. Kang’s version features cognac and a spritz of absinthe. Hotel-grown herbs are used in Fairmont Fujairah Beach Resort’s tarragon mocktail. Try it at The Copper Lobster, the Northern Emirates’ award-winning seafood restaurant for sustainability. Other popular cocktails on the menu feature homemade cardamom- and rose-infused syrups. Pomegranate liqueur and fresh pomegranate juice form the base of Fairmont The Palm’s Silk Road Martini. Topped with edible gold dust, the cocktail is on the menu at the Dubai hotel’s Ba Restaurant and Lounge. 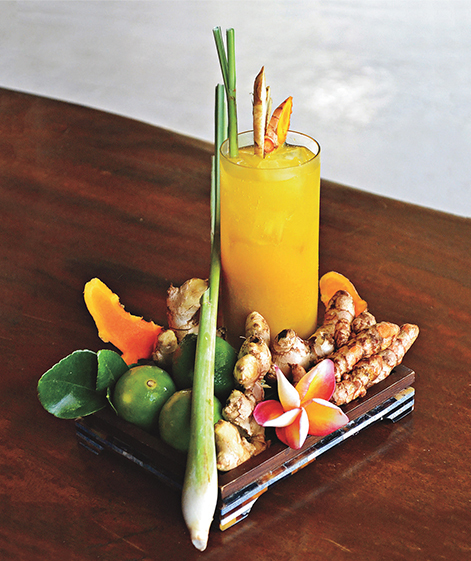 An anti-inflammatory mix of fresh turmeric, lime, ginger, tamarind and the local jamu tonic combine to make the Surya cocktail at Fairmont Sanur Beach, Bali. The hotel puts a modern twist on this traditional herbal drink by adding whiskey. Mixologists at Fairmont Austin had a bit of fun with the childhood memory of eating cereal while watching cartoons on TV. The special ingredient in their lemony, tequila-based Royal Jelly is Honey Nut Cheerios mixed with almond milk. In Montreal, the atmosphere of Fairmont The Queen Elizabeth’s Nacarat Bar takes design cues from Ziggy Stardust, but the drinks are modern. 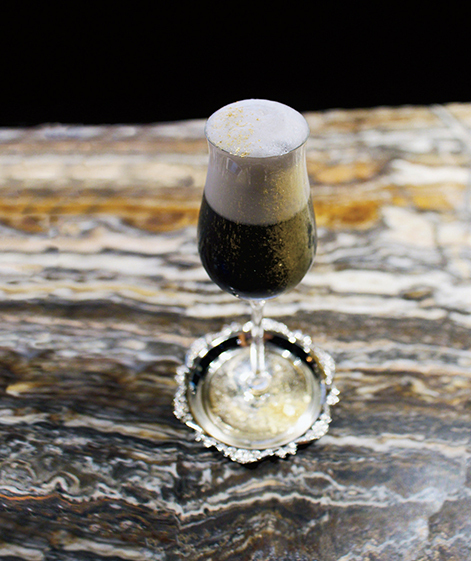 The Nacarat is the New Black combines Midori liqueur, mezcal and squid ink. 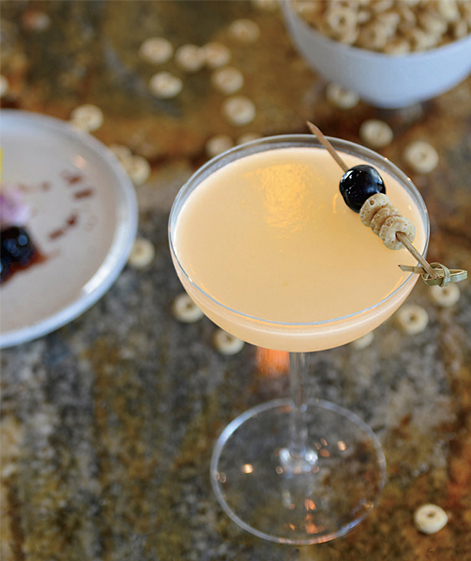 01 Fairmont Pacific Rim’s Botanist restaurant is inspired by its terroir, with drinks like the Candy Cap Magic. Made with a Canadian rye whiskey infused with local mushrooms, the cocktail is served in a moss terrarium. 02 At Fairmont Jasper Park Lodge in Alberta, the Where I Saw the Constellations cocktail features a house-made spruce and cardamom syrup served with Ungava Gin, Chartreuse and Lillet. 03 Get that campfire-in-the-forest feeling at Zoe’s at Fairmont Château Laurier in Ottawa. The popular spot serves a maple whiskey cocktail in a smoker box.